As part of the hook to our Earth and Space topic, the Year 1 children were very excited to take part in their very own fashion show. The children were able to decide whether they wanted to be a planet of the solar system, an alien or part of the galaxy. They then designed a t-shirt to model on the runway and used either tye-dye, fabric paints or fabric pens to create their design. 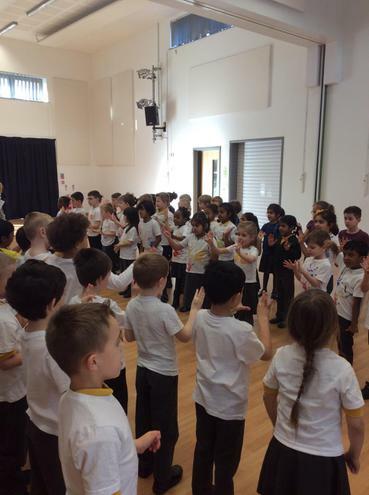 The children made their parents and teachers very proud on the day of the Fashion Show by singing space songs and taking it in turns to pose on the catwalk.